Humor is a powerful force that can nourish children’s growth, development, health, and sense of well-being. This study will inspire adults to lower their threshold for humor ― to let humor enter their professional lives and intertwine their relationships with children. 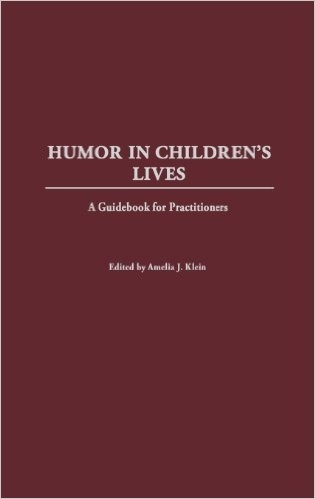 Examines the significant role that humor plays in meeting children’s needs at various stages of development. Children between the ages/stages of preschool to eleven years of age (pre-adolescence) are the focus of this book. Professionals who are creative users of humor, and whose work with humor is exemplary in nurturing children’s cognitive, social, and/or emotional development, illustrate how humor played a key role in the relationships they developed with children. Authors, representing a wide range of backgrounds and disciplines, include: a therapist, teacher educator, child development specialist, art/communication multimedia educator, early childhood teacher, Child Life specialist, and therapeutic hospital clowns. The authors take readers into the different worlds of children, and describe how humor helped children learn, cope, think creatively, develop social skills, gain self-esteem, and experience a sense of well being. The role and significance of comic incongruity is illustrated in the context of play, classroom life, artistic expression, medical treatment, and therapy. A final chapter promotes humor as a subject of inquiry in professional development programs across disciplines. AMELIA J. KLEIN is Associate Professor of Early Childhood Education, Wheelock College.